Sturdy, attractive, with alphabetic tabs for ease in finding names. 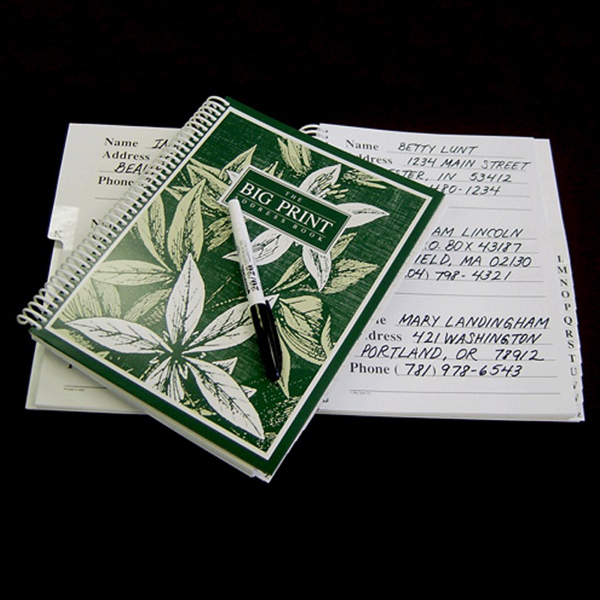 Each page is designed for three entries with ample space for writing in addresses and phone numbers in large, bold letters. The front and back covers have inside pockets to hold old envelopes, stamps, and so on. Measures a handy 8 x 9.5 inches. Has room for over 500 entries. A welcome gift for a friend or a wonderful treat for yourself.